Calgary is a winter wonderland during Christmas. With twinkling lights across the city, so many of us can’t wait to go holiday dancing and shopping. 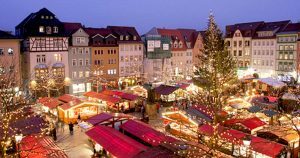 The spirit of the holidays is incomplete without a trip to the Christmas markets around the city. Giddy up in your warmest winter gear and check out our list of the top rated holiday markets in yyc. 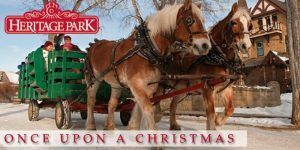 Experience the wondrous magic of Christmas past at Heritage Park in Calgary. Enjoy a festive wagon ride, sing carols or hobnob with jolly old Saint Nick. 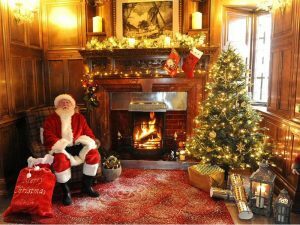 Immerse yourself in an old-fashioned Christmas as some of the historical family homes and buildings open their doors to share their Yuletide traditions. It’s a delightful market full of color and lights, guaranteed to delight all ages. 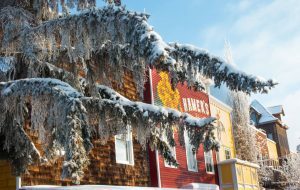 Highlights include a Christmas train display, vintage photo parlor, and a live Christmas play in the Canmore Opera House. Get your slice of wholesome holiday cheer! Extend your holiday tradition and find what you are looking for at this premier market. This holiday season, dine with friends as live holiday entertainment fills the market and indulge in treats while you find the perfect gift. From freshly Roasted Holiday Nuts to strolling Santa, the fun doesn’t stop. Snap a selfie with the jolly ol’ elf and take a trip down the aisles to find the best market vendors -offering Yuletide gifts, food, jewelry, décor and more. Sample mulled cherry wine at Field Stone Fruit Wines and swing your hips to some Christmas tunes. Make everlasting memories at the special events; from Santa and cookie decorating, Tea with Mrs. Claus, live ice carving, viewing Santa’s Reindeer, and much more. No admission fee and free parking! 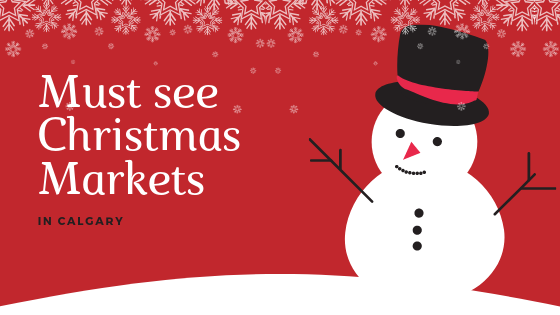 Dive into the Christmas spirit in full swing at the Spruce Meadows market by Telus. Discover a magical world of scents, colors and light, and feel the energy of the season. Enjoy 300+ vendors spreading the cheer in the indoor comfort of the Spruce Meadows Riding Hall, Equi-Plex, Horizons, Gallery on the Green at Congress Hall, Reindeer Alley, and Candy Cane Lane. Our outdoor areas include, ‘Founders Plaza’, ‘Twin-Peaks’ and many more. From world-imported items to hand-crafted gifts, indulge in stress-free shopping in a festive environment featuring unique gift ideas. 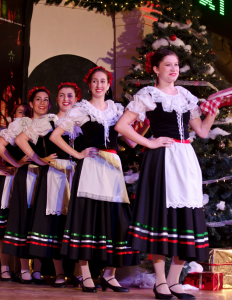 Joyful and lively entertainment will add to the special atmosphere at the International Christmas Market. With 80+ shops and restaurants of Inglewood kicking off the Christmas season on December 1st, the annual “Christmas in Inglewood” event promises to be the magical experience you and your family have craved all year. 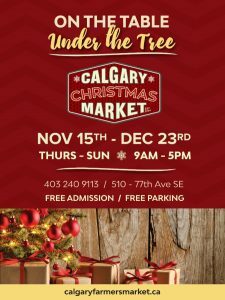 Have yourself a merry little Christmas and come down to Calgary’s original Main Street where you’ll find the most unique holiday gift selection in the city from more than 80 independent and locally-owned shops and restaurants! See you in Inglewood for a Christmas shopping experience you’ll never forget! 9 Avenue S.E. and surrounding Streets and Avenues. 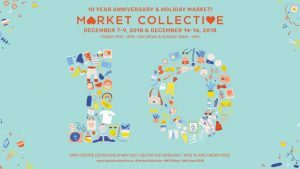 Light up your holiday charm and join the Market Collective 10 Year Holiday series! It’s a mega two-weekend extravaganza of live music, interactive workshops, galleries, food and beverage, and over 150 local vendors plus special surprises. Take your friends and family and head down to a weekend full of good food, DJs, live music, and shopping from the creative local community. That’s all we want this Christmas! Over 100 local unique vendors, music and Christmas baskets full of goodies, what more could you ask for this holiday season? Be sure to check out the cafe offering a variety of soups, chili, hot chocolate, marshmallow, baked goods and much more. The Christmas market in Kensington promises to be the most wonderful thing this year! It’s all celebrations and magic with a variety of free, family-fun activities in the vibrant neighborhood. Enjoy the thrilling horse and wagon rides, watch joyful holiday movies at The Plaza Theatre, and take selfies with Santa! Be sure to check the petting zoo, drink up some hot chocolate and have fun! Roam through the lively neighborhood and show some love. 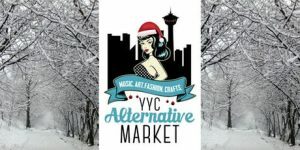 Wonderful Christmastime of fresh fun is what you can expect when you walk into the second edition of the YYC Alternative Christmas Market inside the Inglewood Community Centre. Stuff those stockings with all things shiny and pretty from local artisans and designers. 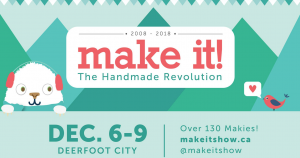 With over 130+ of Canada’s top artists, makers, and crafters displaying their handmade crafts, this Christmas market makes is a perfect place to start your holiday dance. If you’re looking for a one-stop shop for all your Christmas gifts, this is the perfect place! Everything from clothing, accessories, and art to home decor, gourmet goodies, baby and kid items, and other unique treasures, you’ll be sure to find gifts for everyone on your list. $5 at the door, kids 12 and under are free. Buy your tickets early to save $2! In the mood for some serious fun and frolic? 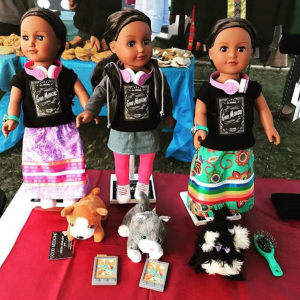 Your visit to the Indigenous Craft Show ‘Holiday Edition’ – featuring 30+ unique indigenous artist vendors from Calgary is sure to put a hop in your step. There will be an array of fresh handmade crafts, art, jewelry, food trucks and much more. Be sure to join Santa on a walkaround or entertain your kids at the Kids Zone. Admission is $2 for adults and kids enter free. Free Parking! Need last-minute Christmas shopping done? Order local, handmade, or luxury merchandise from your favorite brands on our app.